Series D-8 Six Cylinder Engine. An attractive, stylish car in 1938, this little beauty still gets approving glances as it glides quietly and smoothly along. Almost seventy years old, this car has been pampered. Restoration was body off frame. Engine completely rebuilt. There is no evidence of any rust or collision damage. The low mileage showing on the odometer is believed to be correct. 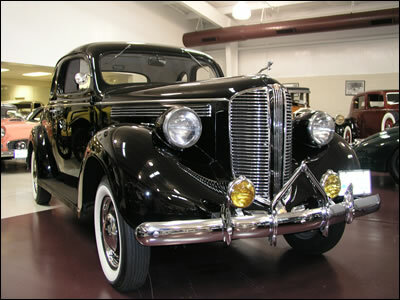 See this and many other magnificent machines of the past at Swope’s Cars of Yesteryear Museum in Elizabethtown, Kentucky. Swope Auto Center has sold and serviced Dodge products in Elizabethtown, Kentucky since 1952.